More reaction to the results of the inspection . . .
Nezavisimoye voyennoye obozreniye editor Viktor Litovkin expressed surprise at “the military’s absolute openness” in allowing journalists to attend General Staff Chief Valeriy Gerasimov’s report on the results of the exercise. Litovkin noted the 98th Air-Assault Division’s 227th Parachute-Assault Regiment participated in the exercise. Su-25 and Su-24 aircraft flew from 4th Air and Air Defense Command bases at Primorsko-Akhtarsk, Morozovsk, and Marinovka. 201st Military Base Commander, Colonel Sergey Ryumshin attributed his problems in communicating to the Russian military in Tajikistan using old local phone lines, which are often out of order. 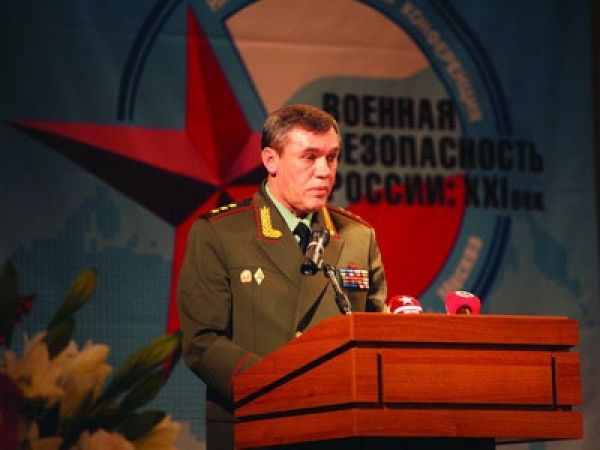 Gerasimov ordered the chief of the Main (?!) Directorate of Communications to sort out the problems. Litovkin added that part and system malfunctions kept five Mi-8 and Mi-24 helicopters from the 2nd Air and Air Defense Command’s 565th Aviation Base from joining the exercise. Su-25 ground attack aircraft from the 4th Command’s 6972nd Aviation Base returned home without dropping ordnance. Litovkin reported 100 R-168-5un radios in the 58th Army are inoperable. Specialists call these systems from the Yaroslavl Radio Factory unreliable. However, an earlier NVO article, by Oleg Vladykin, points to the positive; 20 VTA transports were able to operate successfully. Yes, it’s not surprising, and the honesty is the first step toward improvement. But we should remember the civilian side of the Serdyukov-led Defense Ministry really didn’t, and wasn’t supposed to, worry too much about what the troops could do in strictly military terms. That was properly the responsibility of the General Staff. Shouldn’t it be criticizing itself too? Shouldn’t it have come forward about problems earlier? And one has to wonder, in the relatively short period of time since Serdyukov announced the outsourcing of most army maintenance, how much outsourcing was actually done? Certainly some, but certainly not all of it. Nevertheless, Serdyukov’s scheme is certainly bearing the brunt of the blame. A proper question might be how capable were those repair sub-units before Serdyukov supposedly swept them all away? Probably not very. Army General Gerasimov promised surprise inspections and exercises will occur regularly now. It’ll be interesting to see just how routine they become. On Thursday, General Staff Chief and First Deputy Defense Minister, General-Colonel Valeriy Gerasimov spoke about RF defense priorities at a conference on Russia’s military security in the 21st century. 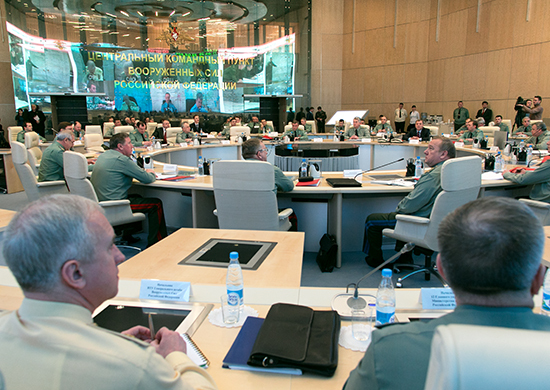 The meeting was organized by Duma and Federation Council defense committees. Gerasimov largely repeated earlier official statements, but added a few comments that might be significant for what they left out. Strategic nuclear forces are, of course, Russia’s priority. He mentioned acquiring Topol-M, Yars, and SSBNs, modernizing Tu-160 and Tu-95MS bombers, and getting satellite systems for VVKO, according to Krasnaya zvezda’s recap of his remarks. For conventional forces, among other things, Gerasimov said VTA will get 200 new transports, and the Ground Troops and VDV new heavy, medium, and light armor using the Armata, Kurganets, and Bumerang platforms, respectively. The VKO system for protecting important state and industrial facilities will be formed in 2016-2020. Mobile S-500 brigades will have this mission. Troop air defense will be the responsibility of SAM brigades equipped with the S-300V and Buk-M3. All Ground Troops missile brigades will have the Iskander. The new NGSh declared that, since the 2008 decision to make “cardinal changes” in the Armed Forces, the share of new types of arms in the army has increased from six to 16 percent. He apparently didn’t say anything about a new strategic bomber or surface combatants beyond frigates. On the possibility of Russia being dragged into armed conflicts by 2030, Gerasimov said the level of existing and potential military danger will increase because of competition for energy resources and trade. He nodded to net-centric and information warfare saying they are a new fourth dimension for conflict. Also on Thursday, Gerasimov was asked about President Putin reducing the requirement for six months of military training to four before conscripts can be sent into combat. According to RIA Novosti, the NGSh essentially said no one should worry about this because contractees would be used in combat. Russia now has three brigades fully manned by contractees in the North Caucasus. He linked the reduction to the current one-year draft, and more intense training that prepares draftees for combat in four months. He also claimed outsourcing has relieved them of “non-core” functions. This despite the fact that outsourcing has fallen from favor along with former Defense Minister Serdyukov. What Gerasimov didn’t say is that there’s no legal bar to using a Russian soldier with four months of service in a combat operation. Before Russia’s holiday topor fully enshrouded military commentators, Gazeta’s Sergey Smirnov published an interesting piece on the situation in which Defense Minister Shoygu finds himself. There isn’t a lot of great comment on Shoygu yet, but it might be cranking up. Smirnov looks at how the popular Shoygu could mar his well-regarded career while tackling the same accumulated military structural problems that faced his predecessor. He writes about possible bureaucratic and personal conflicts with Sergey Ivanov, Sergey Chemezov, and Dmitriy Rogozin. According to Smirnov, Russia’s military added virtually no contractees in 2012, but still has to recruit 50,000 of them every year until 2017 to reach its assigned target of 425,000. The obstacles are the same. Eighty percent of them don’t sign a second contract because the army doesn’t offer living conditions more attractive than barracks. Undermanning is a related problem. 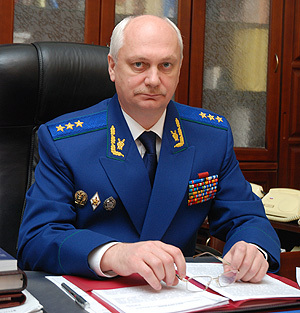 Smirnov says the military’s manpower is certainly below 800,000. And Shoygu may have to acknowledge this problem. Smirnov describes Serdyukov’s conflict with Rogozin over the OPK and its production for the military. He claims the “Petersburg group” of Sergey Ivanov, Chemezov, and Viktor Ivanov wanted one of its guys to take Serdyukov’s place at the Defense Ministry. But Putin didn’t want to strengthen them, so he took the neutral figure Shoygu. Was Serdyukov done in for overreaching rather than for corruption scandals in the Defense Ministry? There’s lots of talk to indicate the former rather than the latter. The new VVS CINC has bloviated about returning to one regiment per airfield instead of large, consolidated air bases. He claims the Krasnodar, Syzran, and Chelyabinsk Aviation Schools will be reestablished. He babbles about going to a three-service structure and retaking VVKO. Shoygu will allow Suvorov and Nakhimov cadets to march in the May 9 Victory Parade. He stopped the Military-Medical Academy’s move out of the center of Piter. Other commonly mentioned possible revisions are returning to six MDs and transferring the Main Navy Staff back to Moscow. Serdyukov’s outsourcing policy led to scandals, and didn’t work for the Russian military’s remote bases. Gazeta’s Defense Ministry sources say the structure and activity of Oboronservis will likely be greatly modified or, less likely, Oboronservis will be completely disbanded if some workable entity can take its place. The military wants municipal authorities to take over the vast majority (70-90 percent) of a huge number of old military towns (that once numbered 23,000) no longer needed by Armed Forces units. The army only wants some 200 of them now. The local government wants the military to provide compensation to restore and support these towns, but the latter doesn’t have the funds. The army is laying out billions of rubles in the next three years, but only to outfit 100 military towns it wants to use. There is also the problem of who gets, or has the power to give away, legal title to this military property. More than enough lingering headaches for one Defense Minister. A good friend asked for a reaction to Pavel Felgengauer’s latest piece. This author agrees with many of Felgengauer’s views, though not all of them. In particular, this observer is unable to declare, like Felgengauer, that Russia’s military reform is failing abjectly, despite its uneven results. Let’s look at his article. 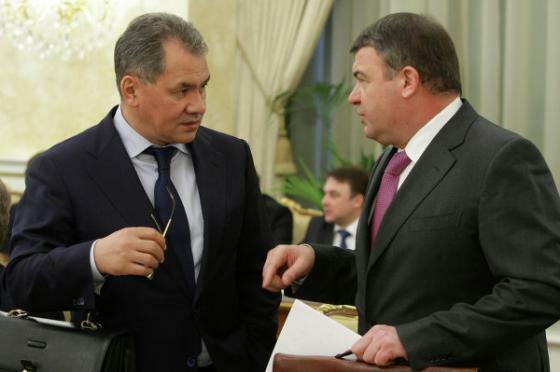 Mr. Felgengauer presented the essence of Defense Minister Serdyukov’s dustup with Prime Minister Medvedev last week. Serdyukov said outright, if the PM wanted to fire someone for failing to prepare semi-abandoned military towns for handover to regional authorities, he should fire him. You may have read on these pages, the problem of no-longer-needed military towns is an enormous one. There’s a veritable archipelago of hundreds of voyengorodki throughout Russia. They’ve long since lost their purpose and support from the Defense Ministry. Fixing them to transfer to civilian control is an enormous task, probably beyond the Defense Ministry’s current financing and capabilities. One Putin campaign pledge for 2012 was not to foist broken down military infrastructure on Russia’s regions and localities. And, though left unsaid, the problems of voyengorodki are connected to the military housing woes. If more apartments were ready for occupancy, there might be fewer ex-servicemen living in the archipelago of former military towns. Felgengauer could have written about how the Serdyukov-Medvedev flap reflects wider tensions in Russia’s ruling elite. Between Putin’s people and Medvedev’s. He did say the scandal showed the latter’s relative powerlessness. Felgengauer might have clarified for some folks that, under the constitution, the Defense Minister answers to the President first, and the PM second. Not so for most ministers. He mentioned the situation harked back to Serdyukov’s reported ambivalence about continuing in his job. There was also pre-election talk that Serdyukov might be replaced at the start of Putin’s third term. But Felgengauer concludes Putin wanted to keep him in the post regardless. Felgengauer suggests Serdyukov might suffer a “mental meltdown.” He could have reacquainted readers with the temper and frustration Serdyukov showed the VDV in Ryazan in late 2010. Let’s examine all this a bit. Undermanning certainly exists. The lack of detail on the strength of Russia’s new brigades make things somewhat sketchy. If (a very big if) the brigades aren’t large, 300,000 conscripts might stretch to cover them, barely. If the 45 maneuver units have only 3,000 draftees each, that’s 135,000. Add maybe 60,000 (40 x 1,500) in other brigades, and Russia uses 200,000, or two-thirds, of its conscripts for the Ground Troops. If these brigades are fully equipped and can depart garrison in an hour or two, they’re technically permanently ready. But, as Felgengauer points out, six months is not adequate time for combat training, so it’s not clear what missions they can accomplish. The issue is more combat capability than readiness. Permanent readiness is a starting point, not an end in itself. Felgengauer ends, weakly, saying military food service was outsourced to make conscript service more attractive, and Putin might abandon it. He views it as a failed military reform. It may be, but outsourcing was really introduced to keep draftees in training 100 percent of the time rather than in non-military duties like KP. We’ll return to the issue of whether military reform is succeeding or failing another time. Anatoliy Serdyukov completed his fifth year as Russia’s Defense Minister on Wednesday (February 15). But the inimitable Argumenty nedeli concludes “clouds are thickening” around him. AN says Serdyukov’s in the “eye of a storm” of PA cadre changes, and he’s begun sacrificing subordinates to save himself. The paper’s Defense Ministry source claims there will be a large number of resignations from “support structures controlled by the military department,” i.e. the quasi-commercialized, civilianized logistic agencies established to outsource “non-core” military functions. OAO Slavyanka — responsible for housing and communal services in military towns — will lose its general director, Aleksandr Yelkin, over poor winter preparations and boiler breakdowns in Murmansk, Kaliningrad, and the Far East. Not surprisingly, the source says this decision followed Prime Minister Putin’s harsh criticism of Serdyukov on February 9. See Kommersant, Komsomolskaya pravda, Nezavisimaya gazeta, or Newsru.com for more on this. The general director of Agroprom — an affiliate of OAO Oboronservis — Natalya Dynkova, lost her position for “redistributing” the military food procurement market. Agroprom declined an AN request for comment on Dynkova’s situation. AN’s source also says Serdyukov’s apparat chief [chief of staff] Yelena Vasilyeva is also “hanging by a thread.” From detention, the indicted former chief of GVMU, General-Major Aleksandr Belevitin has given evidence against her. Several months ago, AN claimed dustups with Vasilyeva led to former Deputy Defense Minister Mokretsov’s departure as well as complaints from high-ranking civilians and officers. Finally, AN’s officer source says the FSB is investigating and arresting some people connected to the Defense Ministry’s commercial structures. He concludes Serdyukov is ridding himself of people who could compromise him or interfere with him finding a place in once-and-future president Putin’s new government this spring. BFM.ru sounded a separate but similar note reporting that the chief of a firm entrusted with selling excess Defense Ministry property is suspected of fraud. General director of the “Expert” Legal Support Center, Ye. F. Smetanova allegedly sold military property for reduced prices in exchange for kickbacks ranging from 5 to 25 percent of the transaction, according to the MVD. She reportedly received 18 million rubles for endorsing the sale of four Samara Voyentorgy for 147 million. Investigators are trying to identify other Defense Ministry properties sold with kickbacks as well as possible co-conspirators in the schemes. In 2011, the Defense Ministry conducted 43 auctions and sold real estate for 4.7 billion rubles. Movable military property was sold to the tune of 560 million. It’s worth recalling the Main Military Prosecutor’s words about the scale of Defense Ministry corruption in 2011. He singled out commercial firms outsourcing for the military and violations of auction rules as particular problems, along with routine kickbacks and bribery. Things aren’t so rosy for Serdyukov right now. 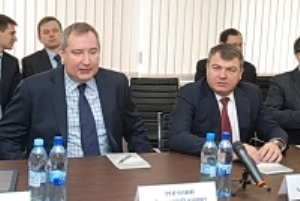 For one thing, Rogozin’s replacement of the virtually invisible Sergey Ivanov has probably been a near-daily irritation for the Defense Minister. And resignations and reports of corruption don’t reflect well on Serdyukov. Still, Serdyukov remains a member of Team Putin, and he’s probably secure. The election season makes everyone nervous, and it’s hard to say who’s driving corruption charges. Shaking out some incompetent or corrupt defense officials might serve to create the impression that Prime Minister Putin’s on top of things. More than 1,000 military officials were prosecuted for corruption, including 18 general officers — one-third of whom received jail time. Since January 2011, the GVP’s prosecuted 250 bribery cases, many more than in 2010. Fridinskiy singled out the GOZ and commercial firms outsourcing for military units as areas where problems are “not small.” He puts annual Defense Ministry losses to corruption at 3 billion rubles. This is, interestingly, the same figure he cited in early 2010. Fridinskiy said the GVP’s been active in checking high-level Defense Ministry officials’ asset and property declarations. He said called the scale of violations here “impressive.” More often, he continued, the GVP finds evidence of servicemen and officials engaged in illegal entrepreneurship and commercial activity. He mentioned an unnamed deputy Northern Fleet commander who failed to disclose his wife’s assets, and a Rosoboronpostavka bureaucrat who simultaneously serves as general director of a corporation. The GVP Chief then shifted gears to talk about barracks violence which he said was down by 20 percent in 2011, with cases involving “serious consequences” declining a third. Lastly, Interfaks asked about military police, of which Fridinskiy’s skeptical. He emphasized military prosecutors will continue supervising army investigations, but he doubts MPs are ready to run criminal inquiries. He repeated his familiar assertion that they aren’t a panacea; their existence won’t change the social factors behind crime among servicemen. Would have been interesting if the news agency had asked if this year’s higher pay for officers will cut army crime in 2012. Dropping Russia’s military manpower level below one million? Talk about a watershed. This might be spurious information, but coming from Dmitriy Litovkin, the report has to be taken seriously. In fine Russian tradition, it could be a trial balloon to elicit public and elite reactions. In yesterday’s Izvestiya, Litovkin reported that, over the course of two years, the Russian Army will become smaller by 150,000 men, according to a Defense Ministry source. The impetus for this is the Finance Ministry’s. Aleksey Kudrin’s been ordered to fight the budget deficit, and he’s got defense and security spending in his sights. The source says concrete proposals to cut military expenditures were prepared for a special government conference in early June. As a result, the government adopted an “additional reduction” of 150,000 servicemen. This would reportedly save 10 billion rubles in 2010 [sic], and almost 50 billion rubles in 2014. The article says military staffs have already been cut 40 percent as a result of army reform. Litovkin notes Defense Minister Serdyukov has previously called one million the “optimal” manning figure — ostensibly 150,000 officers, 100,000-120,000 contract sergeants, and conscripts for the balance. But it wasn’t so long ago that the Defense Ministry declared the need for an increase of 70,000 officers, and raising the number of contract NCOs and soldiers to 480,000. It’s not clear how these new cuts are supposed to jibe with increases proposed earlier this year. The Supreme CINC [together with his tandem partner] will have to decide. Litovkin enumerates Defense Minister Serdyukov’s competing costly initiatives — higher officer pay, outsourcing nonmilitary tasks, etc. According to this, outsourcing alone has already brought 380,000 [!?] civilians into military support positions and this number is supposed to increase. Litovkin doesn’t close the loop on this, but he seems to imply the high cost of these efforts requires cuts in manpower. This is all exciting and interesting and occasions a couple thoughts. One. The new “optimal” number for the Armed Forces must be 850,000. Liberal Russian politicians, military analysts, and observers have long argued for this, or an even more radical cut. But one million has had mystical power. Russian conservatives will vociferously object that the country’s borders are too extensive to be defended by a single man short of one million, as if even one [or for that matter two] million could do it, or as if sheer manpower’s the best way to parry modern military threats. Two. Though not mentioned by Litovkin, isn’t it possible Moscow’s decided to make a virtue of necessity and recognize that demographic and draft problems have left them well short of a fully-manned force of one million anyway? This could be a small step in the direction of becoming (or at least looking) more like just another European army. Three. The inevitable downsides. Keeping more officers had been intended to deal with the outplacement cost (apartments) and other negative fallout of cutting the officer corps in half, not to mention simply having more officers around to deal with unruly nonprofessional soldiers in the ranks. And another round of personnel reductions is likely to delay any resumed movement toward a long-term professional enlisted force. Just the latest fro in the game of Russian defense policy to-and-fro.